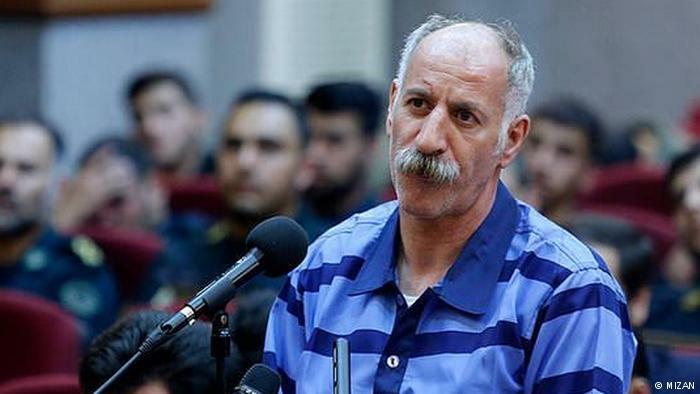 Iranian prison authorities have told the family of a Sufi Activist, Mohammad Salas that he will be executed on 18 June. The 51-year-old man was arrested 19 February after security forces violently attacked the Gonabadi Dervishes who had gathered to protest earlier clashes with security forces near their leader’s residence. Zeynab Taheri who represents Mohammad Salas has told media that the case brought against her client is not a fair trial and he has been forced to confess to killing three police officer by driving a bus into their crowd amidst the clashes. Salas who have once accepted the charges has now published a video informing the public that the confession was under torture and that he was severely beaten to confess. Salas says he was in custody when the crime he is being executed for, took place. The website “Majzuban-e Nur” writes that despite the fact that there are now new witnesses who can confirm Salas was in custody, the Judiciary is not willing to allow a retrial. Salas’s family were called in for the last visit to the prison on Sunday 17 June and Salas once again has told them that he was not committed the crime of running over the police. Amnesty International and Center for Human Rights in Iran (CHRI) have also raised concern about a miscarriage of justice and have called on the Iranian authorities to stop the execution of Salas and grant him a fair trial. On the night of 17 June, Salas was sent to solitary confinement in Raja’i Shahr prison where prisoners are often sent before executions. Gonabadi Dervishes are a persecuted minority group in Iran and the state security forces clashed with them in Feb 2018. During these clashes, a man driving a minibus drove into a crowd of police officers killing three. Salas was charged with the murder of three police officers and was later on found by a judge to be guilty and sentenced to death. Forced confessions of Salas were presented as evidence in court but Salas and his lawyer say that he was in custody during the minibus attack. They have witnesses but the court is not willing to grant them an appeals court. Gonabadi Dervishes have staged a number of peaceful protests in the past year but on 19 Feb, the protests turned violent after IRGC security forces and the riot police attacked the Dervishes.